Waterfront Lake Coeur d’Alene condo w/on-site marina & pool! 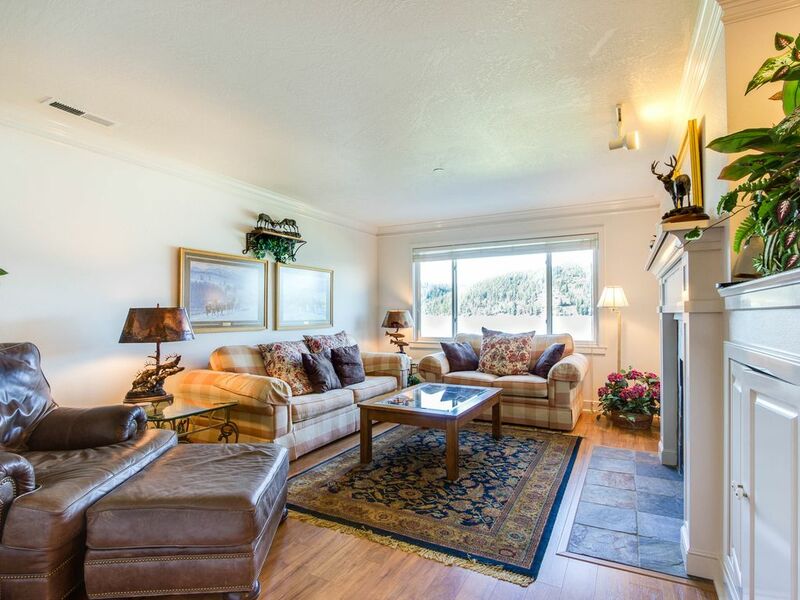 You'll never tire of summer days on Lake Coeur d'Alene in this great waterfront condo offering an indoor community pool and private marina with boat slip rentals! Well stocked amenities and an ideal mountain location near Harrison make it the ultimate getaway for fishing buddies, family sun seekers, or friends. The vacation rental is located at Arrow Point condominiums, a family-friendly complex within 20 miles of both Harrison and Coeur d'Alene. You'll long spending long days fishing at the marina or playing beach volleyball. Even better? You're minutes from the Panhandle Yacht Club and Gozzer Ranch Golf & Lake Club. The cozy retreat is perfect for relaxing or entertaining, as it offers cable TV and paid WiFi for an additional fee. Hang out as a family in the living room or unwind on your private balcony overlooking the water. A bistro table and gas grill make it the ultimate outdoor space! A dining table for six and fully stocked kitchen are great for making simple home cooked meals or elaborate fish bakes! When it's time for bed, six guests are welcome to stay and can choose from two suites; one offers a king bed, the other a queen. Additional home features include two full baths and laundry facilities. Just outside your door are fantastic recreational opportunities like hiking, mountain biking, or boating! Rent a boat slip to spend long days water skiing, or buy magazines in town to read by the pool. The charming community of Harrison features outdoor gear equipment rentals and guides to ensure you make the most of your time in the mountains! In between adventures, spend days at the community ice cream parlor, cafe, or wine tasting rooms. Nearby Coeur d'Alene is more of a resort community which comes to life with art galleries, breweries, spas, and restaurants. Family fun is just 35 miles away at Silverwood Theme Park, and in winter you're equal distance to alpine skiing at Silver Mountain Resort! Make the most of your summer vacation or winter holiday in this lakefront Arrow Point condo! Parking Notes: Your assigned garage space is marked F-105. Should you have more than one car, the second car must be parked outside the building in the open parking lot facing the volleyball court/pool house. Boat parking is available from Discovery Marina for $35 per day on "C" Dock. Dock Details: Boat parking is available from Discovery Marina for $35 per day on "C" Dock. Vacasa cannot set this up for you. See the Marina Mgr next to the pool house or call 208-676-1325. The property was perfect! Very clean and well stocked. The lake views were amazing! We enjoyed our time at this condo which is right on the water so you can sit on the couch have the fireplace going and enjoy the view. The condo was clean and had everything we needed. The beds were comfortable as well. The lake front view from the balcony was fantastic! Some comented that it's a long distance to groceries and eating establishments..for us that was part of what attracted us to the area. We will return! The condo was very clean and comfortable. It had absolutely everything we needed. The views from the balcony were breathtaking, we watched the sunset every evening. I highly recommend this location.